You are at:Home»iPhone»Display»How To Turn Off Auto-Brightness On iPhone: The Quick Fix! Your iPhone’s display keeps adjusting the brightness on its own and you’re beginning to get annoyed. This is known as Auto-Brightness, and it can easily be disabled on iPhones running iOS 11. 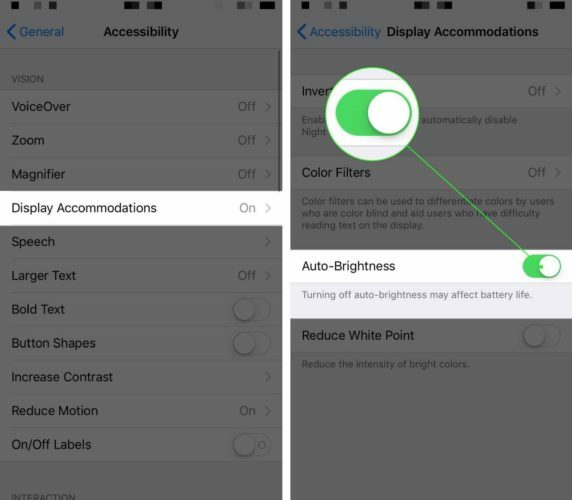 In this article, I’ll show you how to turn off Auto-Brightness on your iPhone! 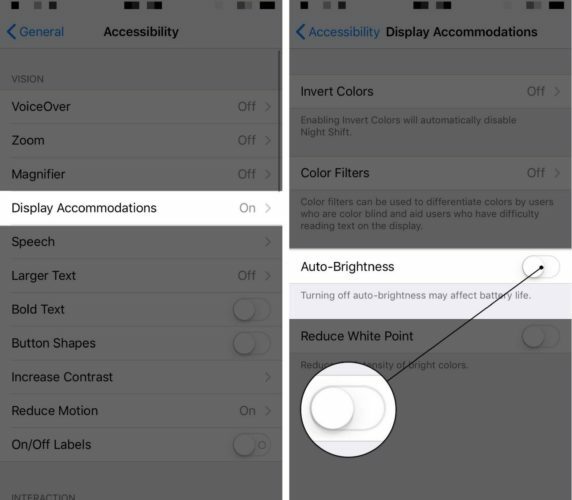 To turn off Auto-Brightness on your iPhone, go to Settings -> General -> Accessibility and tap Display Accommodations. Then, turn off the switch to the right of Auto-Brightness. You’ll know Auto-Brightness is off when the switch is white and positioned to the left. If you’re more a visual learner, check out our Auto-Brightness video on YouTube. While you’re there, don’t forget to subscribe to our channel. We regularly upload videos about iPhone tips and how to solve common problems! Should I Turn Off Auto-Brightness? You’ll have to manually adjust the brightness of your iPhone’s display any time it’s too bright or too dark. Your iPhone’s battery may drain more quickly if the display is set to a high brightness level for extended periods of time. 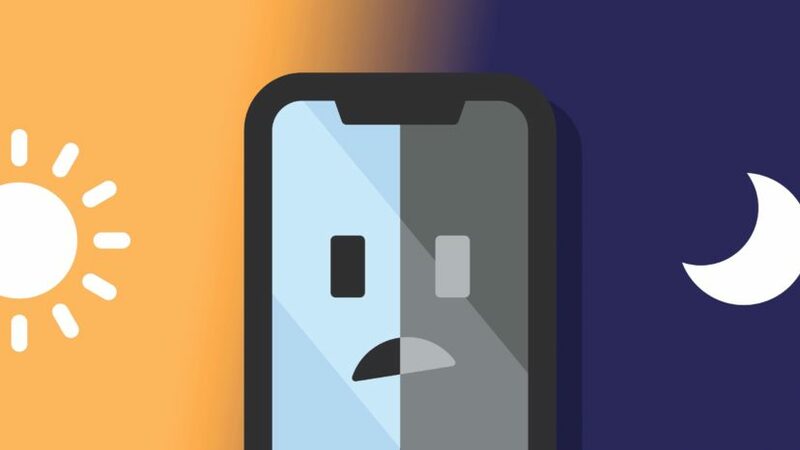 If you find that your iPhone’s battery is dying faster after you turn off Auto-Brightness, check out our article for plenty of iPhone battery-saving tips! Turn on the switch next to Auto-Brightness. You’ll know it’s on when the switch is green. You’ve successfully turned off iPhone Auto-Brightness and now your screen won’t adjust on its own! Make sure you share this article on social media with your family and friends to teach them how to turn off Auto-Brightness on their iPhones as well. If you have any further questions, leave them below in the comments section! Previous ArticleiTunes Not Recognizing iPhone? Here’s Why & The Real Fix! Next Article My iPad Won’t Rotate! Here’s The Real Fix.